Zach Verhoven is heading to the Canadian Premier League. 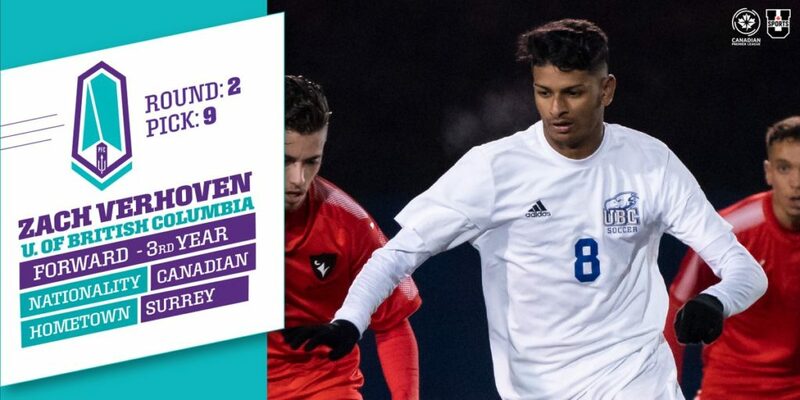 The UBC Thunderbirds and TSS Rovers standout was selected 9th overall by Pacific FC in the first ever U SPORTS draft, the second of three picks by the islanders, along with his UBC teammates Thomas Gardner and Nick Fussell. In many ways, it’s the culmination of a lot of hard work and development for the third year Thunderbird, but it’s also now the beginning of a new chapter for the 20-year-old, as he enters the professional game for the first time. 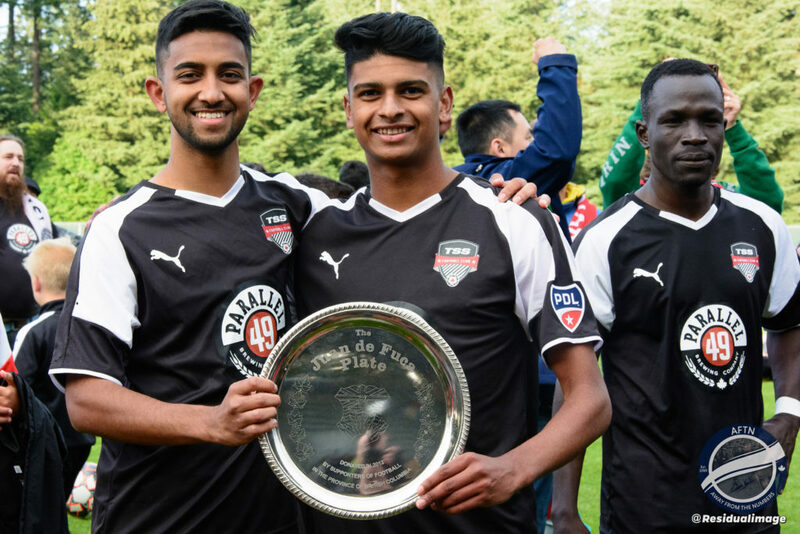 Becoming a professional footballer has been the long time goal for the Surrey native and he admits that as soon as the Canadian Premier League was announced, he knew that that was where he wanted to play. Now he’ll get the opportunity to do just that in Victoria. The Canadian Premier League U SPORTS draft is made for players like Verhoven. Players who have caught the eye these past couple of years, allowing them to dip their toes in the professional pool during spring and summer, maintain their college eligibility, then return to their schools on August 15th for the college season and to continue their degrees. The draft also allows clubs the chance to evaluate players, offering them a CPL-U SPORTS developmental deal with an eye to a future professional contract, and providing them the environment to develop their and nurture their skills further in a full time pro set-up. Verhoven has been exciting prospect for a number of years now, first lacing up the boots at the age of six. 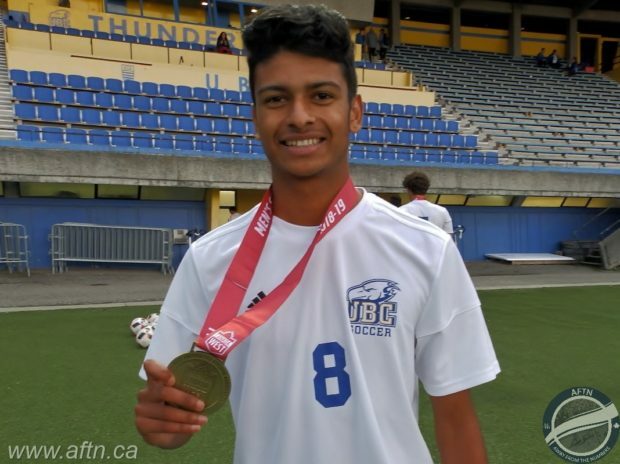 Seven years at Surrey United and a further two with Surrey Guildford United, earned Verhoven a place with Vancouver Whitecaps’ Residency program, where he played up to the U15 level, before the ‘Caps cut ties and the forward headed back to Surrey United. Snapped up by UBC, Verhoven started 19 matches in his rookie college season, leading the team with seven assists and scoring five goals. He followed that up last year with another team-leading seven assists, and three goals, but it’s been this season that we’ve seen a more mature Verhoven really show his worth to the Thunderbirds, and a clear development in his game. The winger once again led the team in assists, this time with eight, bagging five goals along the way in his 16 Canada West appearances. But this was a different looking Verhoven on the pitch. Those are aspects of his game that he’s worked very hard to improve upon and the results have very clearly been seen on the pitch this season. “I look back on this year, and I always try and think about the things I need to improve to make me a better player,” Verhoven told us. “Those were some of the things that were tagged along with me, the defensive side and maybe when things weren’t going my way [letting my head drop]. And it’s clearly impressed the Pacific FC management team along the way, with assistant coach James Merriman describing Verhoven as “shifty” and quick on the ball, marking him down as an “interesting one” for the future. 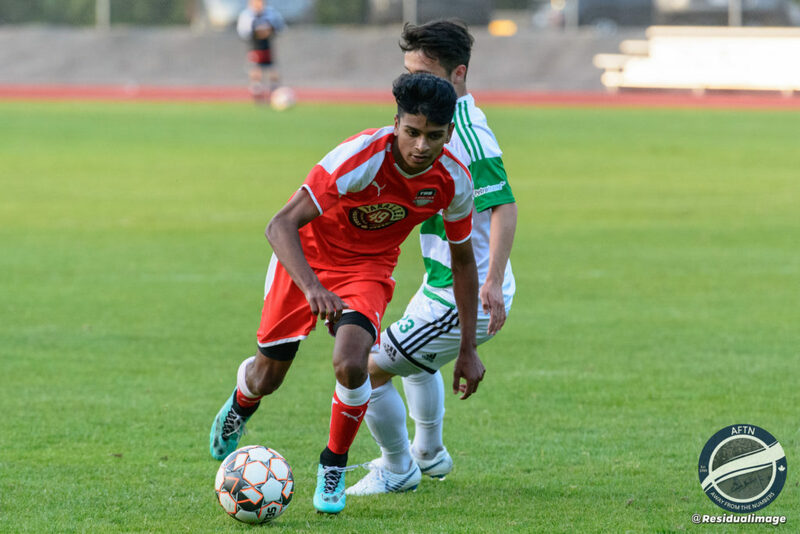 Spending the past two summers playing PDL football with TSS Rovers has gone a long way to helping Verhoven’s game become more rounded. Being in full time training, with no studies to be concentrating on at the same time, and with the games coming thick and fast, Verhoven has kept his attacking flair, added a lot more defensive capabilities, and increased his soccer IQ. His head coach at the Rovers, Colin Elmes, was delighted to see Verhoven selected and move on to the next level of his footballing career, and he has no doubt that if he continues to knuckle down, he has a bright and exciting future in the pro game. “Zach Verhoven has the X-Factor,” Elmes told AFTN after the draft. “Canadian soccer players in general lack the X-Factor, especially in the last few decades. He brings that, and yes, we know sometimes his X-Factor isn’t working, but there’s always the possibility at any given moment that that guy is going to crash something out of nowhere. Here’s an example as to why, and what the Pacific FC supporters have to look forward to. Verhoven was one of three former TSS players selected in the draft, alongside his 2018 and UBC teammate Thomas Gardner, who is also heading to Pacific FC, and his 2017 Rovers teammate Joel Waterman, who is heading to Cavalry FC in Calgary. But as disappointed as Elmes is to see some of his most exciting talents move on, it’s the whole point of TSS existing – to help grow the game in Canada and give players those opportunities to move on up – and he’s in no doubt that the Victoria public are going to be enamoured by their new player. “After our first season, Zach was the first guy everybody asked about – the Swanguardians, people on our board of advisors,” Elmes exlained. “They were like, ‘is Zach coming back?’. Well we finally got rid of him! Which is our job. As we like to say, we never want to see you in this jersey again.